UConn Stamford is a modern facility with small classrooms, distance learning opportunities, up-to-date science labs, art gallery, Library Learning Commons, ELC (Experimental Learning Collaborative), Fitness Center, and Sports Club. The Stamford campus is located at the heart of downtown Stamford. Stamford was voted #1 city in Connecticut, with exciting shops, restaurants, theaters, and movies. It has easy access from I95, Merritt Parkway, and the train station with a free shuttle to campus from the station Monday through Thursday. For more information about visiting Stamford, check out the Downtown Special Services District website as well as the “Visitors” website from the City of Stamford. Your UConn Stamford adventure begins at our Welcome Center. We offer student-led campus tours for prospective students and their families. Campus tours are offered year-round and are available on select days between Monday and Saturday. A walking tour of the campus usually lasts about 30 minutes. Our new Residential Hall is not a stop on the Campus Tour, due to the building being a living and learning community for our current students. We offer special dates for our Residential Hall tours. Check out the video of our Residential Hall. We are looking forward to seeing you on campus soon! Are you interested in seeing our luxury apartment style Residential Hall? Please come visit us on any of the following Tuesday evening tours for a chance to see what it means to live like a Husky! The tours start at 6pm. DMD Information Sessions: Every Thursday Tour at 1:00pm will be followed by a personalized tour of the Digital Media and Design space at UConn Stamford. If you are interested in this opportunity please call us at 203-251-8541 or email us at stamfordadmissions@uconn.edu! 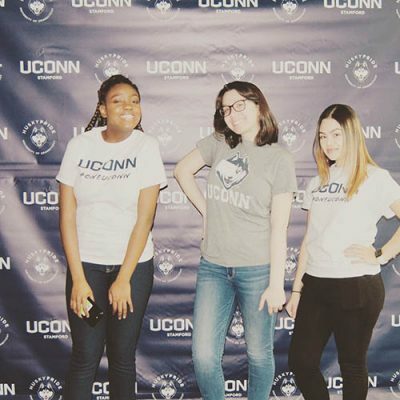 Have you ever wondered what it is really like to be a UConn Stamford Husky? This is your chance to join our pack for the day! You will get the opportunity to sit in on a college course, meet faculty, connect with a current student over snacks and have the option to go on a campus tour. If you are a prospective International or Out-of-State student who wants to know what it is like to live and learn at UConn Stamford, then this tour is right for you. The tour will take place over Skype. On the tour you have the opportunity to talk to our Admissions Officer and be taken on a virtual tour of the campus which will highlight our campus facilities and academic programs. If you are interested in setting up a Skype session with our Admissions team, please email StamfordAdmissions@uconn.edu to schedule a time. Reserve a Weekday Tour when classes are in session to get the best sense of what it will be like as a future husky. Bring a list of questions for our trained admissions team to answer. Ask your student tour guide about their personal experiences with life on campus. Take notes on the resources available. Combine a tour with a visit to any of the amazing restaurants and/or events in Downtown Stamford! 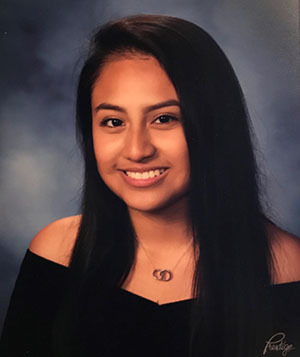 UConn Stamford provides High School Group Tours to college ready High School students who are interested in seeing if our school is the right fit for them. We provide a tour of the full campus building led by student leaders to show students what it means to be a husky. We offer Group Visits for groups with 10 or more students, during the academic year from September to April on Tuesday, Wednesday, and Thursday. While on campus, groups can participate in one of the sessions below. If your group has a preference, please indicate this on the Additional Comments section of the “Register Now” Form. Major Game - Learn about the many majors and schools the University of Connecticut has to offer. Trivia - Test your knowledge on what you learned on our campus tour about UConn Stamford or College Life. Student Leader Panel - Ask UConn Stamford students anything you have always wanted to know about UConn Stamford or College Life. Admissions Information Session - Learn about UConn as a whole and what makes UConn Stamford unique. During this session students will also learn some fast facts about the Admissions Process and tips to applying. Lunch on Campus - UConn Stamford has partnered with Pieology in Stamford, CT which is owned by two UConn Graduates. Pieology can provide groups visiting UConn Stamford pizza for $6.00 per person. Bus parking is located on Franklin St. between the UConn campus building and the Whitey Heist Park. Why did you choose UConn Stamford? I choose UConn Stamford because getting to interact with your professors is a lot easier and the classes are smaller which will help me adjust to the college life. Also, UConn has a really great school of business for a very affordable tuition. What is your favorite class at UConn? My favorite class is math because I work better with numbers. The professor is also very helpful and willing to answer any questions asked. What is your favorite restaurant in Stamford? My favorite restaurant in Stamford is Buffalo Wild Wings. It’s the best place to eat wings and watch live sports games. Students also get a discount which is great. My goal is to work in the Finance department at an Investment Bank in New York. I like to go to the movies, go shopping at the Stamford Mall and hang out at the Mill River Park since they have a lot of fun events hosted there. My favorite ice cream is Husky Tracks from the Dairy Bar. It has everything I love combined.